Now you can invest in burgers without your significant other thinking you've lost your mind. 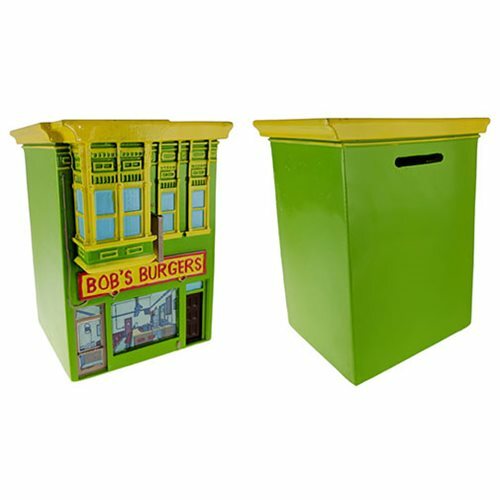 The Bob's Burgers Building Coin Bank can hold all your loot and you don't worry about the dangers of red meat. Measures approximately 6-inches tall. Ages 13 and up.